*** Organizing class are starting in September. You can obtain more details on my website. If you’d like to attend a class please contact the class location directly. Hope to see you in class. 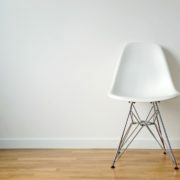 *** Want to know more about Minimalism? Learn from two experts, Joshua Fields Millburn & Ryan Nicodemus. Association of Professional Organizers to School on Wheels in August to volunteer. *** Question: What does minimalism mean to you? Please share your answer. The heat of summer is here. Guess who else is heating up? My inner minimalist is on fire. During the month of June I played the 30-Day Minimalist Game with my husband, and we were both winners. To me minimalism is the act of buying less, having less stuff, and getting rid of excess. 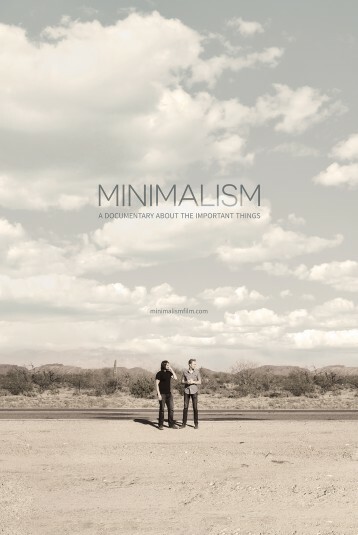 After bringing the Minimalist Documentary to North Attleboro in May, my husband and I decided to see what it would be like to embrace minimalism. We decided to play the 30-Day Minimalism Game to see if we could get rid of as many things as the game encouraged us to. We also wanted to see how little we could spend in those same 30 days. We learned several things while we embraced minimalism. First of all, we learned to look closely at all of the things in our space. Knowing that we were going to be getting rid of a lot of stuff, we looked at everything. We made decisions on things we hadn’t touched or used in years. There were several things we would not have thought about getting rid of if it wasn’t for the game. It’s so easy to get comfortable in our surroundings that we don’t realize how much we don’t use. Getting rid of this excess stuff made me happy. Secondly, the game created some urgency to take action. We needed to fix things or get rid of them. So, things that had been waiting to be fixed for a while were fixed or gotten rid of. We needed to read or recycle. Papers that were waiting to be read needed to be read or recycled. Books that were piling up needed to be read or donated. We needed to mend or donate. Clothing that required some mending, needed to be fixed or donated. Getting rid of this stagnate stuff made me happy. Finally, not making purchases for a month helped us realize we are lazy cooks. We would succumb to the temptation to eat out or get take out way too much. We’re too tired and there is nothing good in the house were common excuses. We decided to change this. We looked through our recipes and picked a bunch to try. We bought new food and ingredients in the grocery store. We’re still working on this, but I’m happy with our progress so far. The 30 Day Minimalism Game was very interesting. I’d recommend that everyone give it a try. I’d be happy to talk with you more about our experiences. Here are a few more blog articles I’ve written on the topic. Share your thoughts on minimalism with me. This is why I was especially happy to find a place to donate my unwanted craft items. The Craft Room recycles craft items. They use them in their classroom, sell them in their thrift store, and offer them for use in their workshop space. They accept paper, fabric, yarn, floral supplies, needlework, artist’s medium, and more. What an ingenious idea. Check out their website. 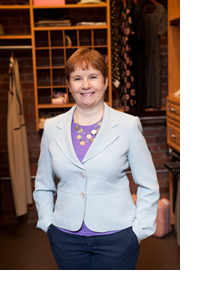 *** Clearing the Clutter, and Closet and Wardrobe Organizing are the two classes that I have left in my spring line up. You can obtain more details on my website. If you’d like to attend a class please contact the class location directly. Hope to see you in class. *** Are you curious about the Minimalist Movement? Join me at the movies for the Minimalist film on Tuesday, May 31st at 7:30PM. Details here. Association of Professional Organizers annual conference is in May in Atlanta, GA, and I’m going. Can’t wait! *** Question: What is your favorite room in your home, and why? Please share your answer. I look forward to spring every year. It makes me smile to see tiny new buds on the trees, pretty spring flowers in bloom, and hear the songbirds chirping. It also makes me smile when spring motivates people to tackle organizing and clean out projects. Do you have a clean out project that you want to tackle? 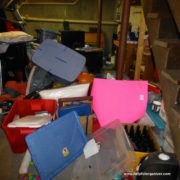 To me, clean out projects are different than organizing projects, because the goal is to get rid of all the stuff that has been collecting in a storage area. It can be an attic that is overstuffed, a basement that you want to make into a usable space, or a shed that you can’t fit one more thing into? Are you procrastinating? Are you feeling overwhelmed by the project? Are you not sure where or how to begin? I’d like to help you by sharing some tips on how to tackle a clean out project. 1. Make plans to set time aside to tackle your project. Recruit helpers. Think about how you want the space to look at the end of the project. 2. Schedule 3 hours of your time and treat it like a doctor’s appointment that can’t be rescheduled without a large fee. Stay focused and avoid distractions during your scheduled work time. If you need several, 3 hour time slots, plan ahead so you don’t get stuck with an unfinished project. 3. 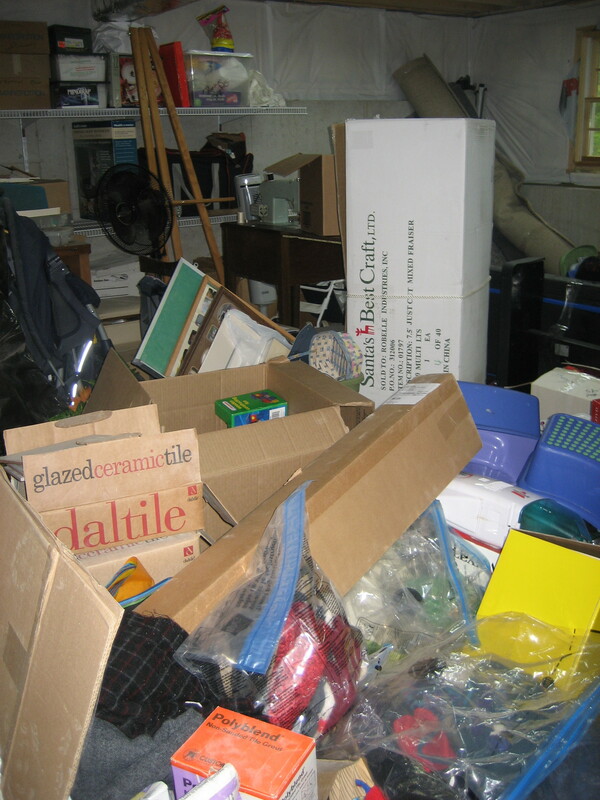 Start by sorting items into six different piles; keep, donate, recycle, sell, give/return, and trash. Use bins, bags, or sections of the space to sort items into. Label each pile clearly. 4. Once everything is sorted tackle the keep pile. Organized what you are keeping by designating a specific home for all the items going back into the space. 5. Address all the other piles and schedule time to donate, recycle, sell, give/return, and trash the remaining items. 6. Compliment yourself on a job well done. Thank your helpers. 7. Schedule a follow up in this same space; 6 months is a good time frame. 8. Schedule your next clean out project.Share your clean out project results with me. Finding new ways to recycle, for myself and my clients, makes me happy. Everyone is more motivated to get rid of something when they know it is going to someone who is truly in need. The Hometown Saver Store in North Attleboro for the first time this week. They are a new thrift store with an interesting twist. They give back a portion of their sales to 5 local organizations, North Attleboro Animal Shelter, Veterans of North Attleboro, Lenore’s Food Pantry, Council on Aging, and North Attleboro Schools. What an interesting concept. They accept clothing, house hold items, books, electronics, toys, jewelry, furniture, and more. For more details visit their website. It’s a great time to do some spring cleaning, and support local organizations. *** My spring class schedule is available on my website. I’ll be teaching classes on the following topics, Downsizing, Closet Organizing, Steps to Organizing, Controlling Clutter, and Organizing Paper. If you’d like to attend a class please contact the class location directly. *** Two fun facts are that the New England chapter of the National Association of Professional Organizers is celebrating its 15th anniversary this year, and the national association is celebrating its 31st. *** Question: Why is organizing important to you? Thank you for helping me build, grow, and sustain my business. As I celebrate my 8th year as a Professional Organizer (January 2016), I am truly grateful for your support. I feel very fortunate to be entering another year in a profession that allows me to use my expertise to help others. Now that the snow and cold temperatures have arrived it’s a good time to tackle some indoor organizing projects, after all, January is Get Organized (GO) Month. An organizing project that I like to do during the winter is remove clutter. When I remove clutter from my filing system, it’s easier to use. When I remove clutter from my closet, it’s easier to see my clothing options. When I remove clutter from my desk area it’s a happier space in which to work. 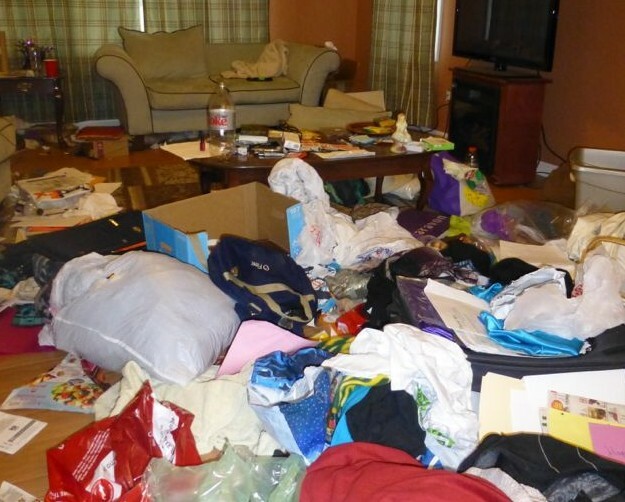 One helpful way to remove clutter is to set a size or numerical goal before you begin. For example, a size goal could be to fill a paper bag with files that need to be shredded, or to fill a trash bag with clothes that need to be donated. A numerical goal could be to remove 20 items from your desk area. Setting a goal helps give you focus during your project, and helps you know when you’ve succeeded. One wonderful benefit of removing clutter is that you’ll spend less time on housework. In fact, it’s been documented that getting rid of excess clutter would eliminate 40% of housework in the average home. If you’d like a personal helper call me for a complimentary consultation at (508) 699-6652 or email me. I’d be happy to help you. How many pairs of shoes do you own? What about boots? Are you ready to pare down (pun intended)? If you are, you can assist two local organizations at once. Keep North Attleboro Beautiful and Attleboro Enterprises, Inc. have teamed up to recycle used shoes and boots. The donated footwear will benefit those in need, raise money, and provide job training skills. You can read more about the endeavor in this newspaper article. If you’d like to donate you can drop off your bundle of footwear at North Attleboro public schools, the North Attleboro Town Hall, Northeast Roofing on Route 1, and with me. I’m collecting donations for this worthy cause for the next 3 months. You can call me at 508-699-6652 to schedule a drop off time. *** Did you know that I offer a tip of the month on my website. Here is a peek. 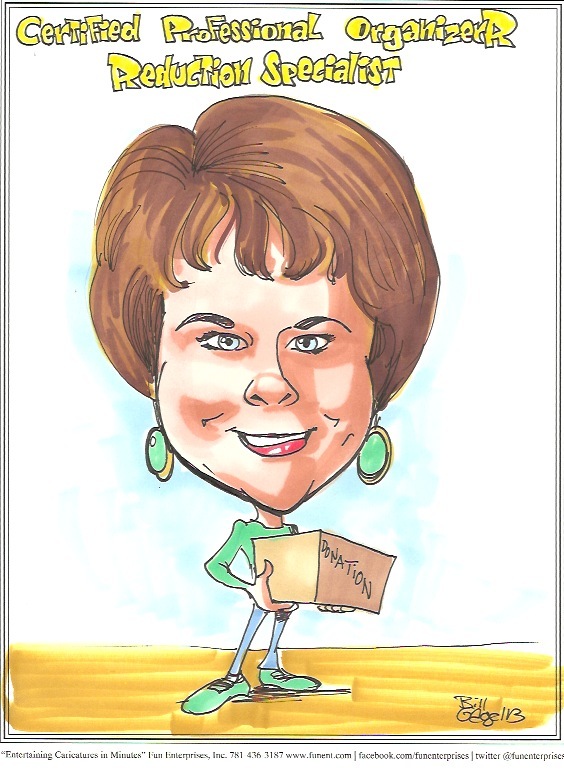 *** Are you or someone you know downsizing or planning to? 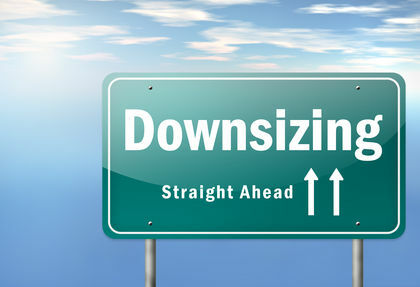 Thursday, November 5th I’ll be teaching a class on downsizing in Franklin, MA. *** Question: What is your least favorite organizing project? Is fall your favorite season? It’s mine. I enjoy the beautiful colors of the season, the cool weather, and the desire to make a steaming pot of soup. Fall is also a time when I prepare for the cold winter months ahead. Two organizing projects that help me do that are my seasonal wardrobe swap and my garage clean out. My seasonal wardrobe swap happens four times a year, because I have a tiny closet, and my entire wardrobe can’t be available all at once. Swapping out the lightweight summer tops, pants, dresses, sweaters, and skirts with the warmer versions happens in mid-September when the temperatures start dipping. A second swap happens at the end of October when I pull out winter footwear, pajamas, coats, and accessories. This two step approach helps me to be prepared for the yo-yo temperature changes that are typical in New England. The reverse process happens in the springtime. Ask yourself these questions when doing your seasonal wardrobe swap. Evaluating the clothing that is being taken out and put away is a great way to stay organized. For me, the garage clean out doesn’t take as long as the closet, but that may not be the case for you. Here are some helpful guidelines when tackling the garage. Currently, I’m in the market for a new pair of eye glasses, and was happy to find out that Lens Crafters recycles eye glasses to individuals in need, world wide. They accept eye-ware that is in good condition, and do their best to match the prescription to someone in need through their OneSight program. They even provide you with a donation receipt. If you’d like to share this email message with someone, please click on the Forward email button below. Thank you and happy organizing this fall! Side Notes:*** I’m excited to say I’ve taped a video for my website, and it is up and running on my home page. I hope you’ll take a look and let me know what you think. *** Did you know that the National Association of Professional Organizers has been around since 1985 and currently has 35 chapters with 4000 members nation wide? 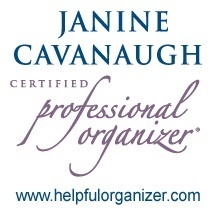 *** Question: What is your favorite organizing product? Warm summer days are upon us, and the temperatures are rising. What does your summer look like? Do you take a summer vacation? Do you carve out a few days to go to the beach with friends? Do you spend more time outside? Whatever you do, I hope you’re able to enjoy the rest of your summer. In the summer, the one area that is usually cooler than the rest of the house is the basement. This makes it ideal for a summer organizing project. Here are two of my blog articles will help you tackle your basement. For me, summer brings clients that are in the process of relocating. Helping them reduce stress that mounts during the move, by providing a workable action plan, an abundance of resources, and time to reduce before they pack is very rewarding. One resource I like to provide is my tip sheet, Organized to Sell, which helps homeowners prepare their house for a quick sale. Another resource I like to provide is a moving checklist and guideline (supplied by Bigfoot Moving & Storage). A third resource I like to provide is an article for them to read, Have a less stressful move. If you’d like to share this email message with someone, please click on the Forward email button below. Thank you and happy organizing this summer!